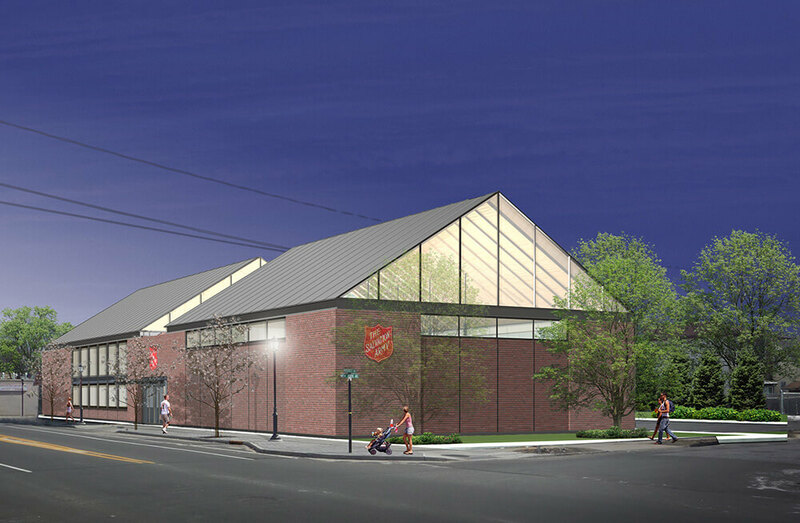 bld architecture is designing a new 30,000 GSF community center for the Salvation Army in Westbury, NY. The new facility will include an indoor gymnasium, commercial kitchen/food pantry, education rooms, library and chapel. Flexibility of function and program are essential to the Salvation Army, as their program and community is always changing. The style of the building and materials were carefully considered to give a residential and stately feel to the building. The chapel is located along the east end and subtly distinguishes itself while maintaining its strong connection to the complex. The Salvation Army will be adopting this plan as a new prototype for its suburban operations.